The Reese Technology Center is home of the National Wind Institute at Texas Tech University. Recently, the NWI has partnered up with Western Texas College for an hours-transfer program that is set to last through 2018.. In a ceremony hosted at Texas Tech, an agreement that allows Western Texas College students to transfer their coursework to Tech in order to receive a Bachelor of Science in wind energy was signed by representatives from both colleges. The ceremony was hosted on Nov. 10. The educational partnership is part of an administrative initiative to make Tech’s National Wind Institute the premier wind energy studies program in the United States and also included an agreement to last through 2018, Andy Swift, associate director of education for National Wind Institute, said. The educational plan allows students who have earned an Associate of Arts degree in general studies-science at Western Texas College to transfer their coursework to Tech in order to earn a Bachelor of Science in wind energy. 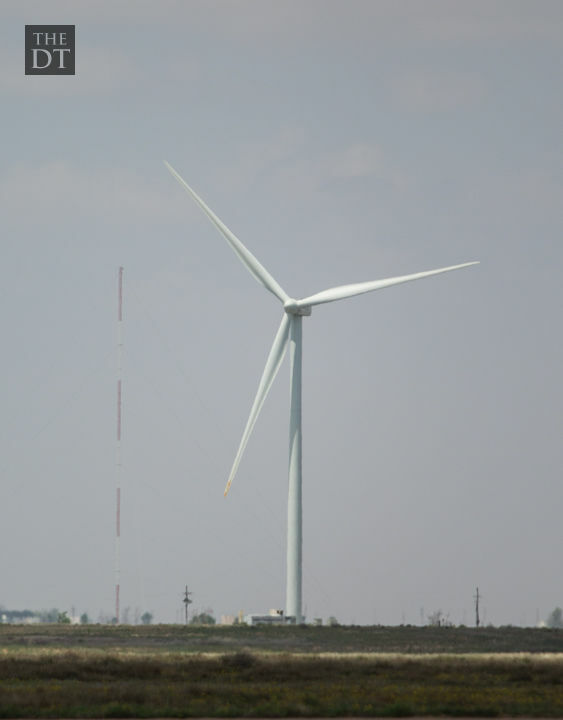 Tech’s relationship with Western Texas College has been integral to the growth of National Wind Institute’s wind energy education program, Swift said. More than 180 students are now majoring in wind energy. The program has a job placement rate of 80 percent, and the United States’ renewable energy sector is steadily growing, Swift said. Students at Western Texas College will also be able to transfer additional coursework, and Tech will accept both the transferrable core curriculum and other coursework within the Texas common course numbering system, Marina Gonzales, Western Texas College wind energy curriculum specialist, said. Tech is home to the only bachelor’s degree in wind energy in the entire country, Gonzales said. Tech has aided Western Texas College in creating five wind energy courses at the community-college level, which were the equivalent of lower-division undergraduate courses in a bachelor’s degree. All of the wind energy courses at Western Texas College are offered both online and in the traditional classroom setting, according to the Western Texas College website. Employers will be looking to hire as many as 300,000 employees in the next 15 years. Indeed, the demand for wind energy specialists from the renewable energy industry was one of the reasons why the academic partnership was formed between the two institutions, Gonzales said. Potential opportunities for employment include a career as a wind farm developer, wind project site manager and wind field operations manager, among others.